When we decided to go to Rome for a weekend, the first place that came to my mind, being the foodie I am, was Sora Margherita, you know how much I love that place, so when I called a couple of weeks in advance and heard from them that they close on summer weekends I was so sad (I know these are not real tragedies, but these are a foodie's tragedies). So the quest for the new Roman restaurant offering tripe was on. By that time I didn't know Eataly was about to open and that they had a Roman Osteria with tripe as the special of the day. So, after hearing about a place from some local friends and reading good reviews, we decided it was gonna be Flavio al Velavevodetto in Testaccio quarter. It was a good coincidence that our hotel (which I'll write about soon) was so close, so we walked to Testaccio. Anyhow, Testaccio is a hill in Rome, near the metro station of Ostiense/Piramide. It is a particular hill, also called Monte dei Cocci because it is made of the remains of ancient jars and vessels (cocci). These remains are positioned so precisely one on top of the other, their origins are uncertain, some say they are African, others say they are Roman materials which were brought there after the fire caused by Nero, etc. Testaccio is now a busy area filled with bars, restaurants and pizzerias but the top two Roman tradition restaurants are Felice and Flavio. Flavio started working for Felice and after a while he opened his own restaurant, from the reviews I read, both offer similar menus, preferring Flavio because of the nicer location: a nice two story house with a courtyard and a terrace (during the summer, book in advance if you want to eat outside, specify where). In the walls inside the restaurant you can see remains of the jars and vessels that give the hill its name. We were a party of 5. We all had as starters fried zucchini flowers, buffala mozzarella and hand-cut prosciutto. All very good. I skipped the pasta and went directly to the main course: tripe, obviously. But I tasted the rigatoni carbonara which were delicious, it's good to know that you can order half portions of pasta, which are hearty, I can only imagine how big are the full portions. It is also strange to see carbonara prepared with rigatoni instead of spaghetti but it is a common practice in roman restaurants. 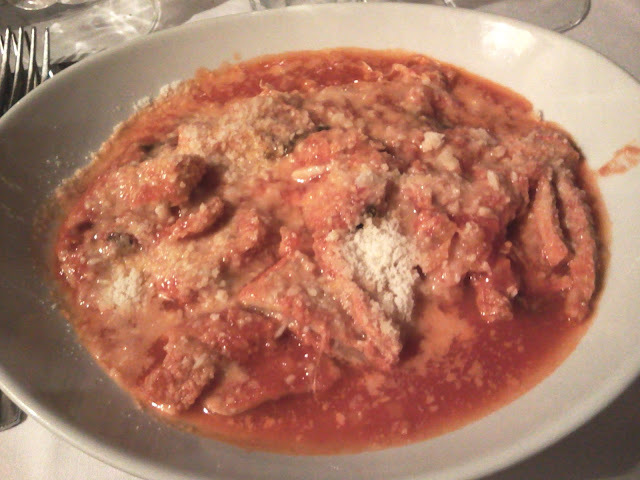 The tripe: it was very good, actually, as good as Sora Margherita's (! ), very soft, the sauce had a distinctive hint of mint which I don't remember from Sora M's but which was also good. 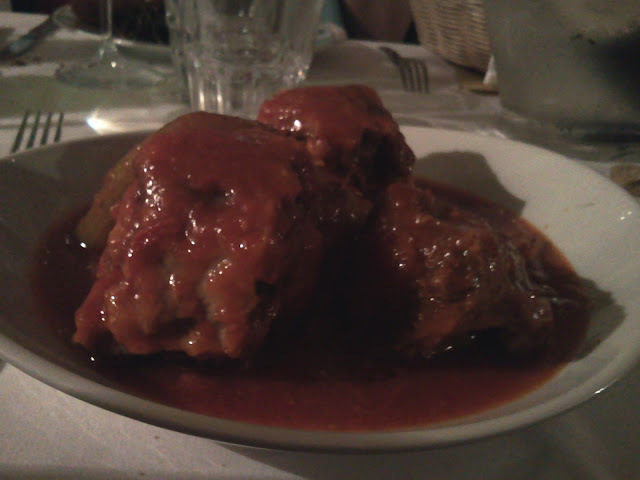 G had the Coda alla Vaccinara, which is another typical Roman dish, it is veal tail cooked with vegetables (celery, herbs, carrots) and a sauce made of tomato, wine and other ingredients. It was good but a bit different from what we expected. All of this was accompanied by a bottle of Sauvignon from the region, Latium. 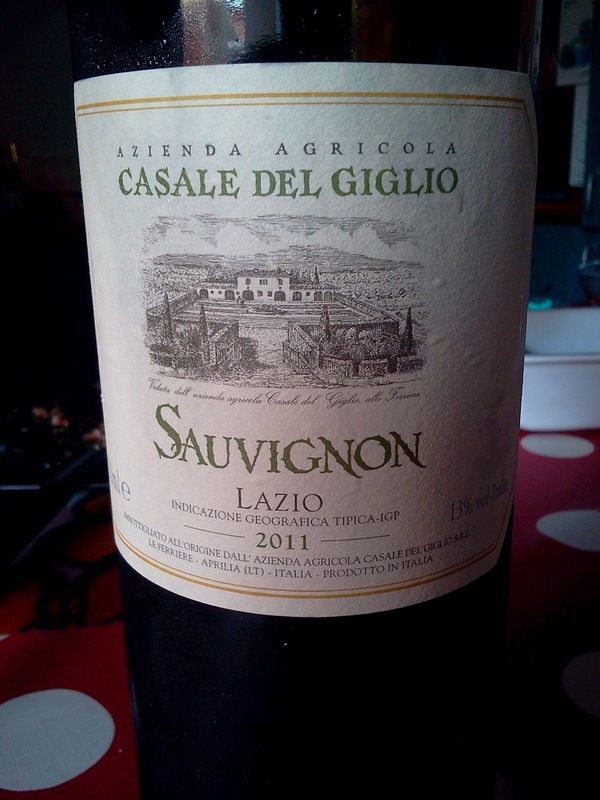 Flavio has a good wine list (actually, it's a wall with shelves, you stand up, go there and choose your wine), and these two bottles of Casale del Giglio Sauvignon (20 euro each) were perfect for the hot summer evening, fresh and fruity. The following day we went back to Eataly and got a bottle to bring back home. 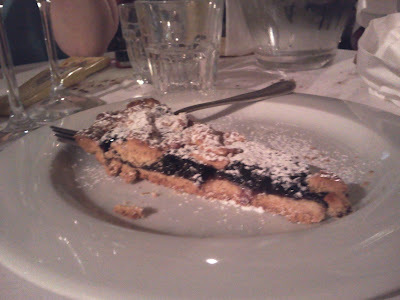 As dessert we got the cherry tart, good but nothing to talk about. The total was about 30 euro per person. 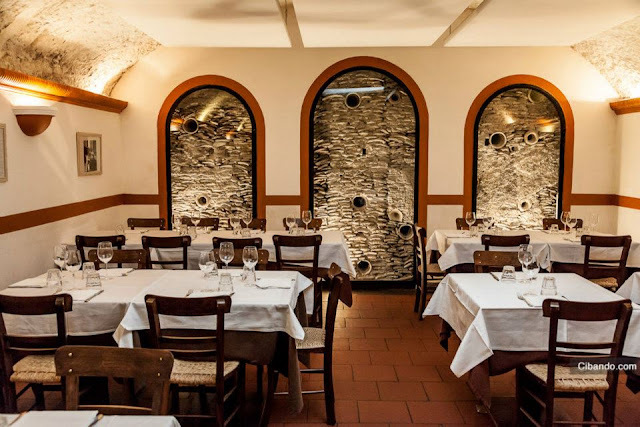 It was definitely a good choice, if you are looking for a good Roman osteria in a nice location and with a decent price, Flavio al Velavevodetto should be in your list. 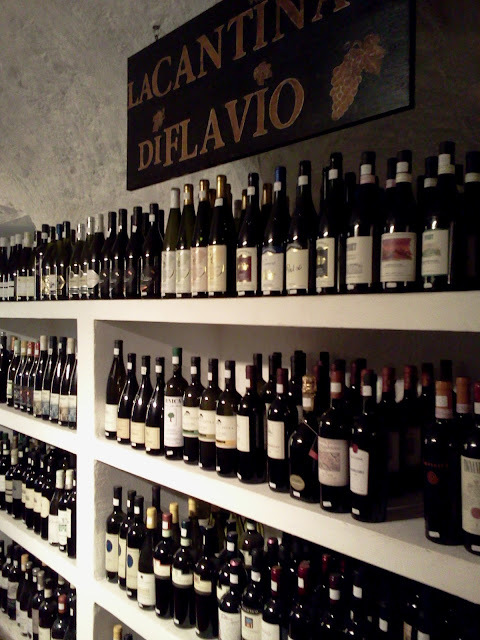 Flavio al Velavevodetto is located in Via Monte Testaccio, 97 - Rome.